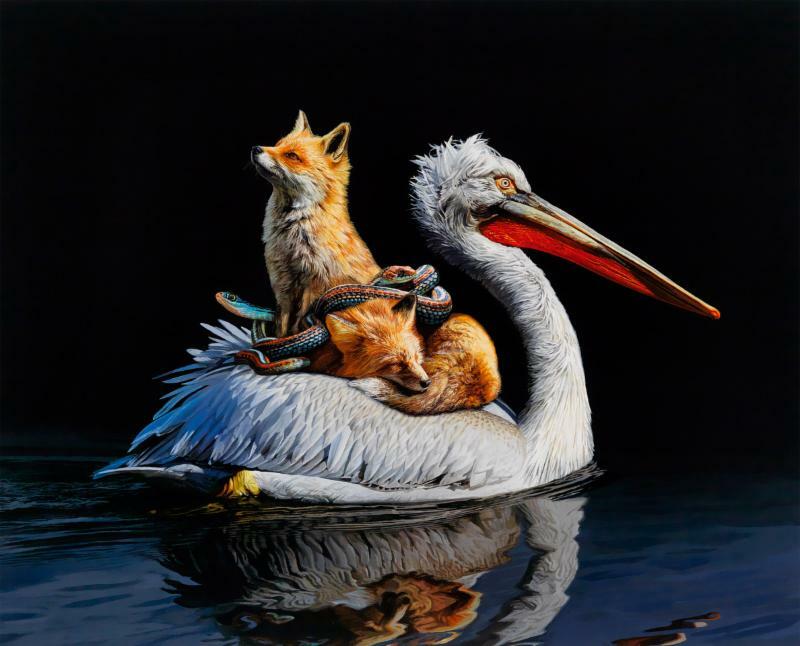 Coming up on October 13th, Thinkspace will be opening separate solo shows from artist couple Josh Keyes (interviewed) and Lisa Ericson. Both of the Portland-based artists’ work reference the environmental issues our world faces, something that will be evident again when they unveil new paintings in Los Angeles. Keyes’ imagery (seen above) often features a post-apocalyptic world where creatures are confronted by the results of actions by humans, often creating tension by bringing nature into an urban setting while Erison (seen below) has been continuing to explore her “sanctuary” compositions where smaller fauna and flora survive on the backs of larger creatures. Categories: Contemporary Art, Low Brow & Pop Surrealism, Shows & Events. 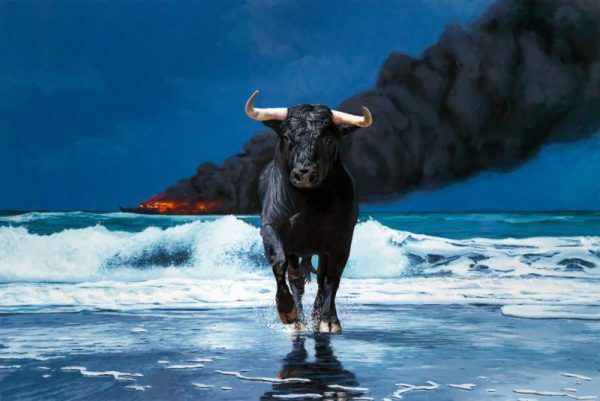 Tags: Contemporary Art, Josh Keyes, Lisa Ericson, Los Angeles, Low Brow & Pop Surrealism, Shows & Events.